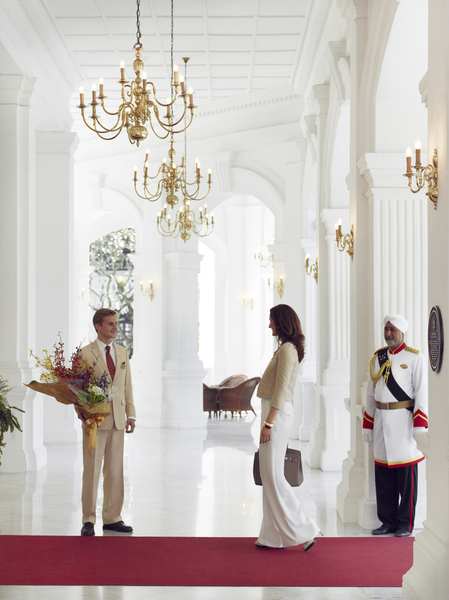 Checking into Raffles is an uplifting experience. When you pull up the gravel driveway outside the white wedding cake of a hotel in the heart of Singapore, you’re greeted by a toweringly tall sikh doorman, bearded and turbaned and wearing an imposing sashed uniform. He ushers you into the lobby, all cool marble flooring and fluted columns that reach up three lofty storeys. There is none of the hubbub of other hotels – only guests or “residents” are allowed inside – so the atmosphere is reassuringly calm and rarified. To borrow from Holly Golightly, you feel as though nothing bad could ever happen at Raffles.